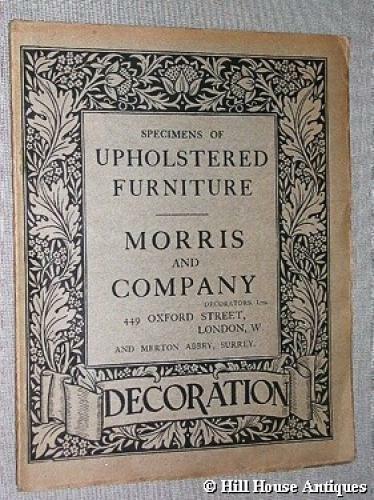 Rare original and fully illustrated Morris & Company Decorators Ltd catalogue of their Upholstered Furniture. Approx 16 pages. We also have an equally rare original copy of their catalogue of their Furniture & Interior Decoration.